After nearly a decade long of ‘marking time’ under the previous regime, defence minister, Manohar Parrikar has demonstrated an urgent and positive response to modernisation and a number of long pending defence acquisitions have been cleared. According to reports, in an unprecedented move, the Defence Acquisition Council (DAC), the apex body for capital expenditure, has approved projects worth Rs 178,036 crore (USD 28 billion) giving the much needed impetus to the modernisation of the armed forces. However, most of these are high-end, high-visibility projects with long gestation period. The urgency is to sanction long-pending acquisitions of the infantry, which directly enhances the fighting efficacy of the soldiers in contact, ensures success in operations and minimises casualties by provisioning basic small arms, protective gear, enhancing night fighting capability, surveillance and communication. The Indian infantry is by far one of the most battle-hardened and combat rich force in the world with the best soldiers and leaders at the fighting and functional level. However, it is also one of the most poorly ill-equipped force, lacking even a properly functioning rifle. The basic small arms held by the infantry are also authorised to army, the other two services and the Central Armed Police Forces (CAPF). Hence modernisation of infantry arms and equipment ensures enhanced effectiveness of the armed forces and the CAPF. The modernisation plans of the infantry have been included in the Long Term Integrated Perspective Plan (LTIPP) of the armed forces, the progress on procurement and acquisitions continues to be at a standstill for over a decade now. The infantry should be given at least the basic small arms to fight effectively ensuring operational readiness across the complete spectrum of conflict from counter terrorism to conventional and NBC. 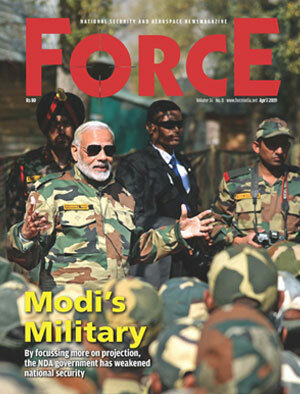 The prevailing geopolitical scenario clubbed with the advancement in technology necessitates that the infantry has to be prepared to fight in all types of terrain in the entire spectrum of conflict. In the Indian context, all disputed and sensitive borders are in the mountainous and high altitude regions with predominantly infantry deployment and employment. The 1947-48 Kashmir war, the 1962 Sino-India conflict and the 1999 Kargil conflict were mountain wars fought mainly by the infantry and artillery, of course duly supported by all combat support arms and services. The on-going counter terrorism (CT) and counter insurgency (CI) operations are infantry-based operations. It is imperative that the army focus should be on modernisation of the infantry.